Martin Alvarado (considered one of the best Argentinian singers of the new generation) is currently on tour in the UK and this Sunday (20th Nov 2011) comes to Birmingham's mac along with Finnish pianist/bandoneon player Mikkus Helenius to perform an evening of tangos, milongas and valses. The show will be held in mac's Hexagon Theatre, which will add a magic intimacy to the night. Alvarado is already well known for his charismatic relationship with his audiences and this combined with his particular way of phrasing songs and his warm and powerful tenor voice means that he possesses an enviable ability to express the stories of these songs and bring to life the emotions contained within the words, whether you understand Spanish or not. His repertoire is also unique, consisting of both new and old tangos, little-known gems and all-time classics. Alvarado also includes the songforms of milonga, canción and vals into his reportoire. All this has gained Alvarado the respect of the audiences in Russia, Finland, Poland, Slovenia, Belgium, France, Hungary, Uruguay, Latvia, Sweden, Bulgaria, Norway, Spain, Italy, Austria, Estonia, Netherlands, etc and after his 18 European tours he can be seen as somewhat of an Argentinian cultural ambassador. His accompanist on bandoneon and piano is Mikko Helenius is also a formidable musician (havingthe remarkable talent of being able to play both instruments simultaneously) and has recently been described as someone who "does not play the notes . . . he paints with them". London again with Jonathan Taylor of Tango Siempre on piano on Nov 26. From the UK Alvarado heads to Russia where he is headlining a major concert in St Petersburg on Dec 1 at one of the most prestigious theatres in the world, the Shostakovich Philharmonic Hall (Grand Hall). 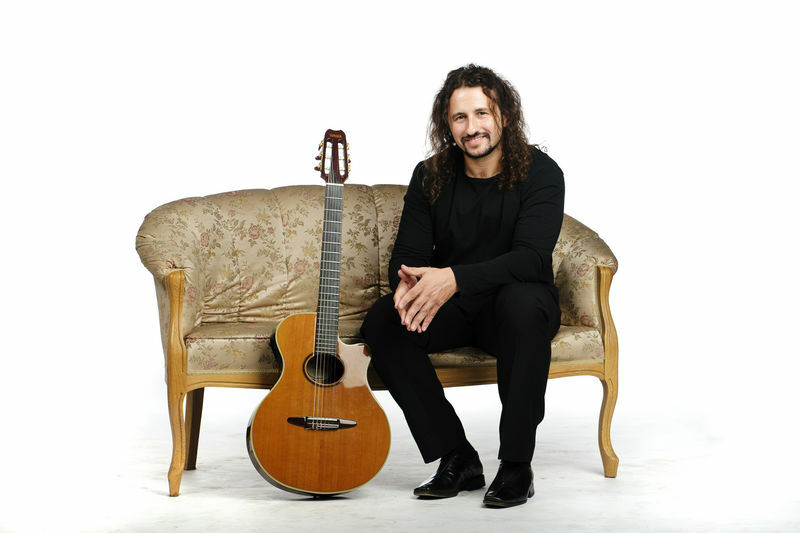 His albums “Martin Alvarado” (2003), “Asi Es Mi Tango” (2006, with Leopoldo Federico as special guest star), “Tango Norte, Tango Sur” (2008, made in Finland with Quinteto Otra Vez) and “Más Allá” (2010, recorded with renowned guitarist Horacio Avilano and his trio) have given Alvarado worldwide prestige. Alvarado took part in Astor Piazzolla’s tango operita “María de Buenos Aires” on its first Polish version in 2009 and several times in Finland. Since 2008 he has also starred in "El Concierto del Nuevo Tango", one of the most cutting edge tango projects of these days, together with Patrick Gallois (flute and orchestra conduction), Dmitry Slobodeniouk (conduction), Quinteto Otra Vez and symphony orchestras and (in another version) with UMO jazz orchestra. At the moment he is pre-producing his fifth album as well as his new self-penned rock cd and touring Europe for the 19th time. This is his first full tour of the UK, although he he recently won the hearts of audiences in Birmingham when he sang in the "Midnight Tango" show at the Birmingham Hippodrome, which starred the BBC Strictly Come Dancing stars Vincent Simone and Flavia Caccace!